Stampin' Up! were so generous at the 2013 Convention in Brisbane. Here is just one of the 4 or 5 free stamp sets i came home with. It's called Hello Lovely, which is a saying I use ALL the time so I doubly love that! I've already used it on several cards, and I thought I would post them together here. Lots of new Stampin' Up! colours here too. These all will be available on July 2nd. This one features Strawberry Slush, Crushed Curry and Bermuda Bay. The black DSP is from Modern Medley, a lovely neutral pack using Basic Black and Very Vanilla. You will also spot one of the Simply Pressed custom coloured clay embellishments. I'm loving playing with these! This second one uses Strawberry Slush, Crisp Canteloupe and Coastal Cabana (all new In Colours for 2013). 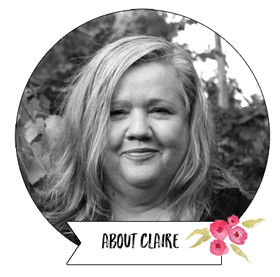 You will also spy another clay embellishment and some of the ruffled In Colour ribbon. The sentiment is another stamp from Hello Lovely. This final card is a similar design to the first card, but uses Strawberry Slush, Pistachio Pudding (both new Stampin' Up! 2013 In Colours) and Smokey Slate, a new core colour. 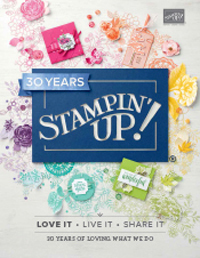 Get your new 2013 Annual Stampin' Up! Catalogue now - Details here. Only 2 places left in my next By Mail / Virtual Stamp Club starting July. Get free catalogue, choose hostess sets included in your minimum $50 free product and 18 projects to make at home - Details here. Join up July 1st and get 20% + off all orders, 30% off first qualifying order and have until the end of Decemember to reach your first quarterly minimum of $400 sales - just $169 gets you all that plus $235 brand new Stampin' Up! goodies of your choice! Details here. Free Technique Book Printables with Your First Order (exclusive offer from me)- Detailshere. Retired Lists are Out - Specials up to 50% out until sold out - Details here or shop online here. Hello friends. Today I have the third image from the Simply Sketched stamp set, one of the new hostess sets in the 2013 Stampin' Up! Annual Catalogue which is available now for sales beginning 2nd July (here's how to get your new catalogue). The base card is Early Espresso, but the next layer is one of the new 2013 In Colours Baked Brown Sugar. I deferred to the Stampin' Up! Colour Coach (updated for the 2013 Stampin' Up! Colour Revision), which suggested Cherry Cobbler and Garden Green as a good combination to use with Baked Brown Sugar. I quite like the result and think this image could even be used as a Christmas image. I have used the Very Vintage wheel (in Baked Brown Sugar ink), as well as DSP from the new Modern Medley pack (this years replacement for the First Edition DSP). You will also spy some of the new Chevrom ribbon we have in this catalogue. I snaffled this piece from the wrapping on my gift at Managers Reception from Convention. Be back soon with some more inspiration. I told you I was loving this hostess set! Here is another image from the Simply Sketched Stamp set which you will find in the new 2013 Stampin' Up! Catalogue which goes on sale 2nd July (order yours here). I have watercoloured the image using a Blender Pen, Strawberry Slush and Old Olive ink pads. The DSP is a sheet from the the new Modern Medley pack which i can see will be a go to DSP for me this year (it's a full pack of Basic Black and Very Vanilla Designs - yumm!). I hope you like today's card. If you would like to be able to order a hostess set withut hosting a party, check out my hostess clubs starting in July. Today I have a beautiful new stamp set from the 2013 Stampin' Up! Annual Catalogue called Simply Sketched. I have used one of the new 2013 In Colours, Baked Brown Sugar as the base of my card. I have stamped onto it using Early Espresso using one of the three gorgeous sentiments that match the 3 images in this set. The DSP on the right is from Quatrefancy Specialty, which is another new DSP and this colour is Coastal Cabana, another of the new 2013 In Colours. I have also used Coastal Cabana and Baked Brown Sugar to colour the image (using a Blender Pen). I have also used the Ovals Framelits and the Occasions Paper Piercing Pack. I think this Simply Sketched stamp set set is going to be VERY popular! As it is a hostess set, you might be interested in knowing how you can get the hostess sets without hosting a party? The answer is my Stampin' Up! Hostess Clubs. The next one starts July ready for the release of the new catalogue. 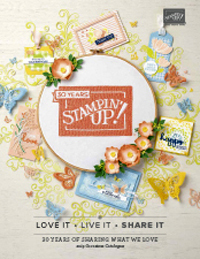 Order your 2013 Annual Stampin' Up! Catalogue now - Details here. Get 20% off all your orders - Details here. 25% Off Digital sale continues until 15th June - Details here. 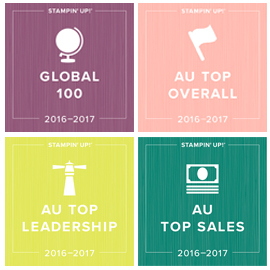 Best of Stamp Sets now available in Australia - Details here. Single stamps now available in Australia. First offering available until August 31st - Details here.